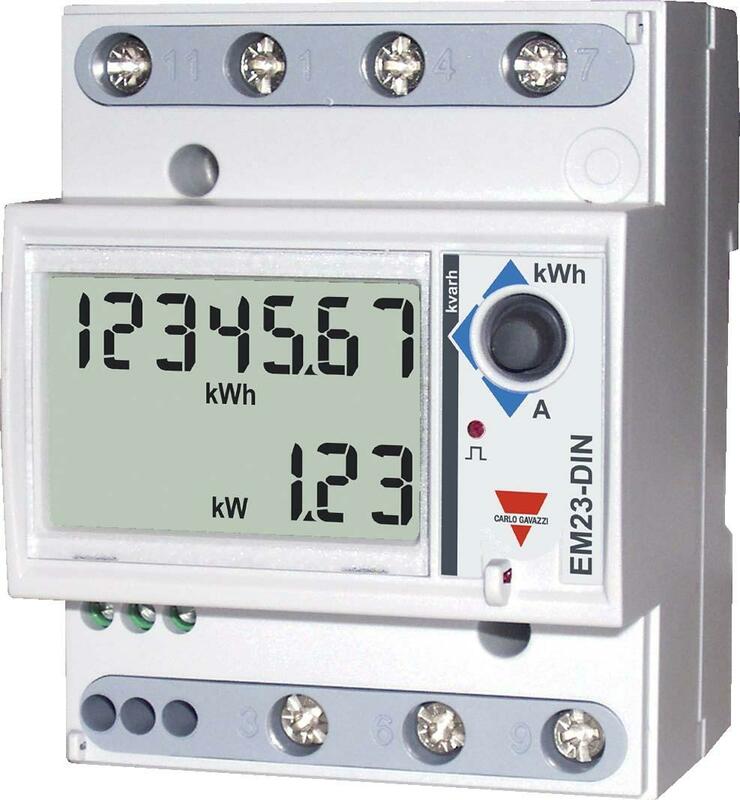 The Carlo Gavazzi - EM23-DIN.AV9.3.X.01.P/F.BP is a very simple, compact, easy to install energy meter. 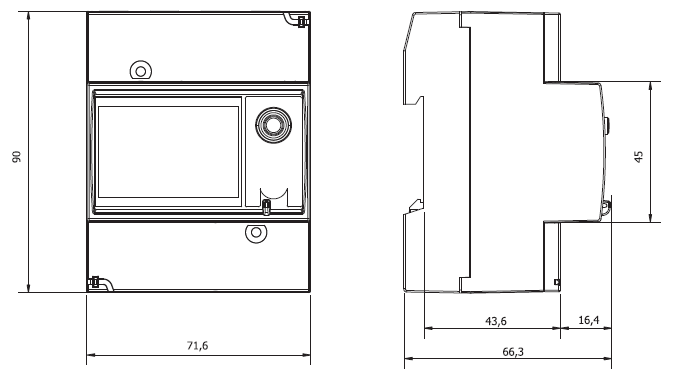 This meter has been MID approved so it may be used for billing applications. 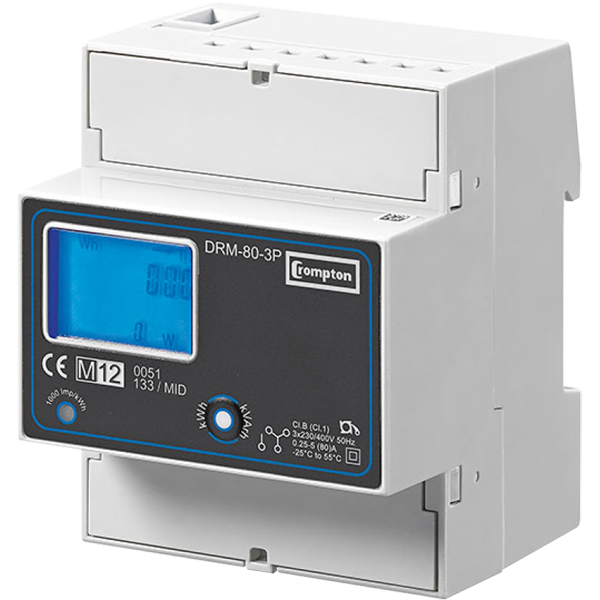 It is only 4 modules wide and mounts onto a DIN Rail and has a neat joystick built into it for easy configuration and parameter selection, and an LCD display. This meter provides a moderate level of detail and is very easy to navigate. It is highly recommended for applications where non/semi-technical staff need to read the unit. 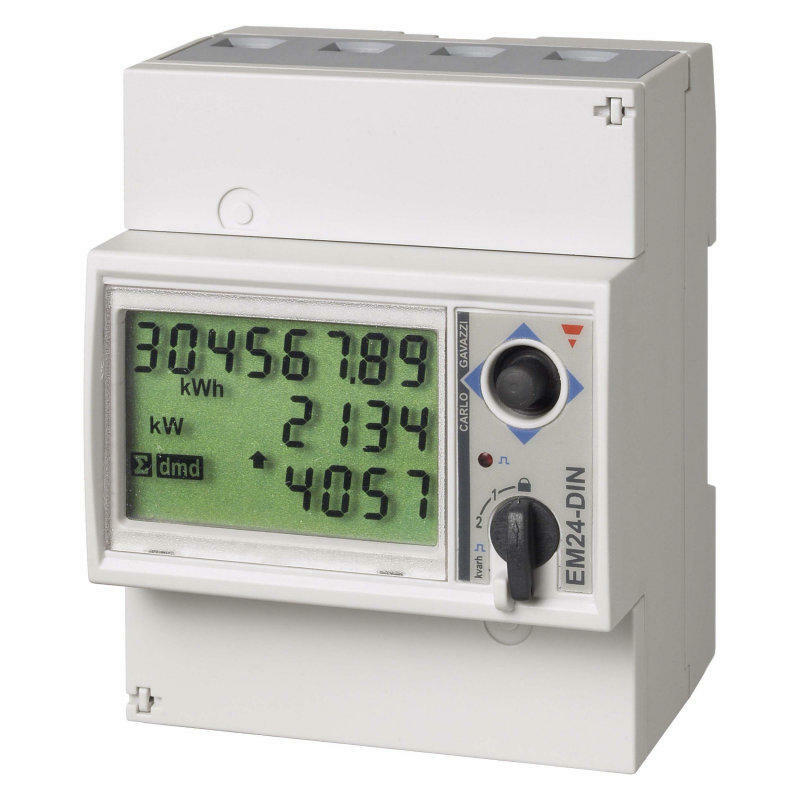 This meter measures a variety of parameters, including individual Line Current (I), Reactive Power (VAr), Power (W), Energy (KWh) and Reactive Energy (VArh). This meter will also display a warning if the wiring is incorrect. It also comes with a pulsed output which is proportional to the active energy (KWh) used.